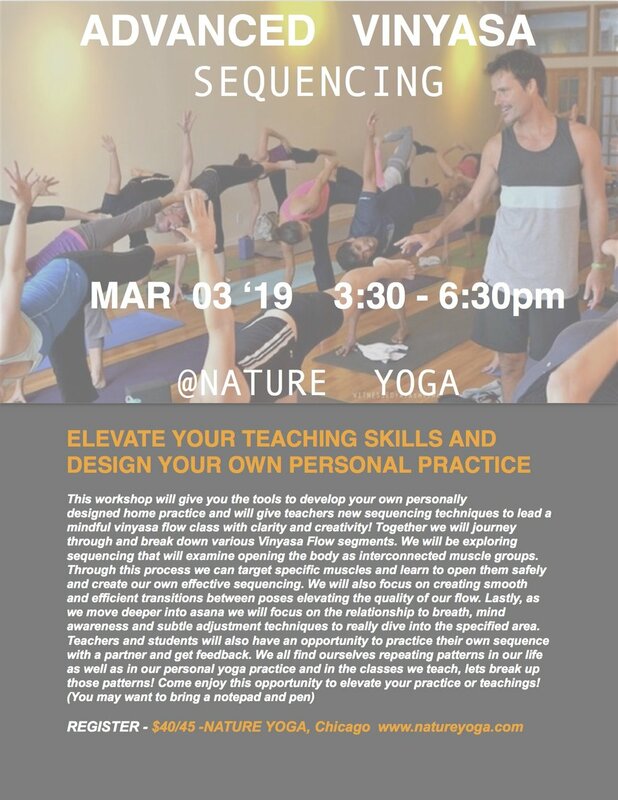 Part 2 of the Vinyasa Sequencing at Nature Yoga. Please have attended Part 1 or have already completed a Yoga Teacher Training. Look forward to seeing you! Reduced price if you take both workshops!